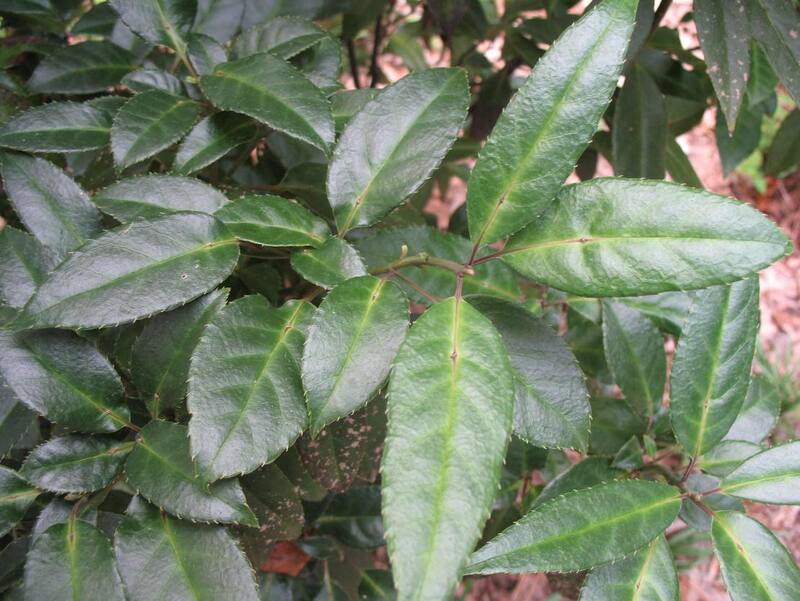 Comments: This is an evergreen shrub that is well adapted to the shade garden. It produces ivory colored flowers that sit flat on the leaves and purple fruit follow in the late summer and fall. Need both sexes of the plant to have fruitset. Many of the plants offered in the trade are male clones, and thus do not set fruit.